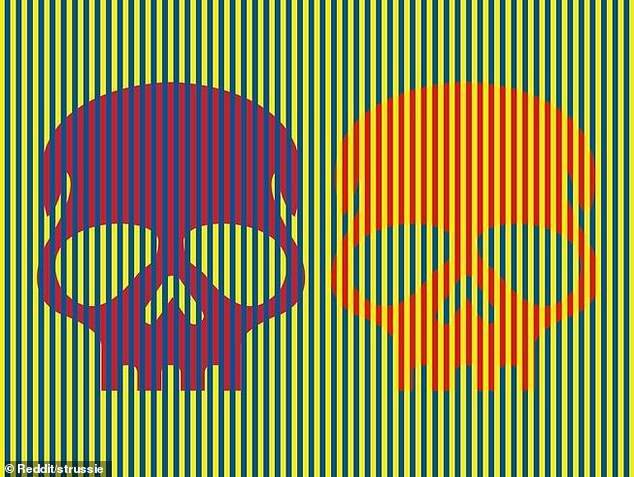 An optical illusion featuring two skulls that are seemingly different colours has sparked a debate online. 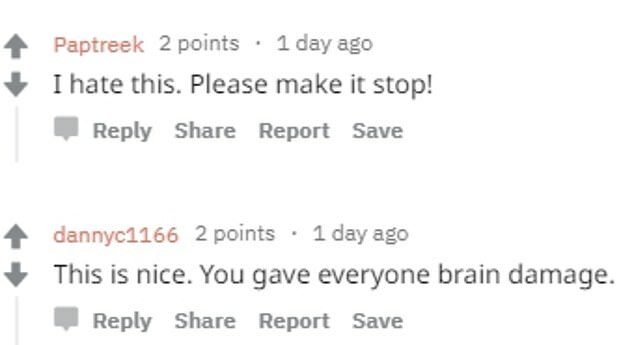 The image, posted on Reddit, appears to show an orange and a purple skull side-by-side. But users were left shocked when it was revealed they are actually both red skulls. The key to the illusion is the yellow and blue stripes that run through the shapes, tricking the mind into seeing different shades. 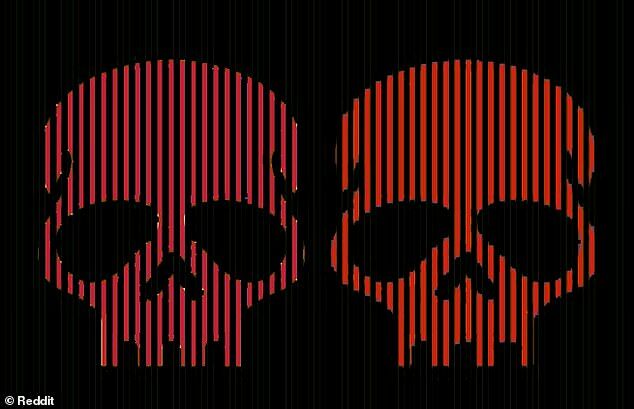 However some questioned whether the illusion truly worked as they claimed the skulls are based on two different shades of red. Explaining how it works, one posted: ‘Look between the vertical line. On the left the red is coloured over the top the yellow lines with the blue lines uninterrupted. 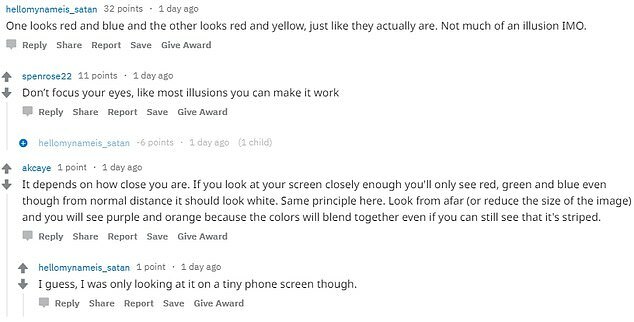 One user even went so far as to remove the yellow and blue out of the image to reveal the red skulls and point out that the reds of red are ‘not even close to the same’. It comes after a teacher accidentally stumbled upon a mind-boggling optical illusion after drawing the outline of poppies for their students to cut out. 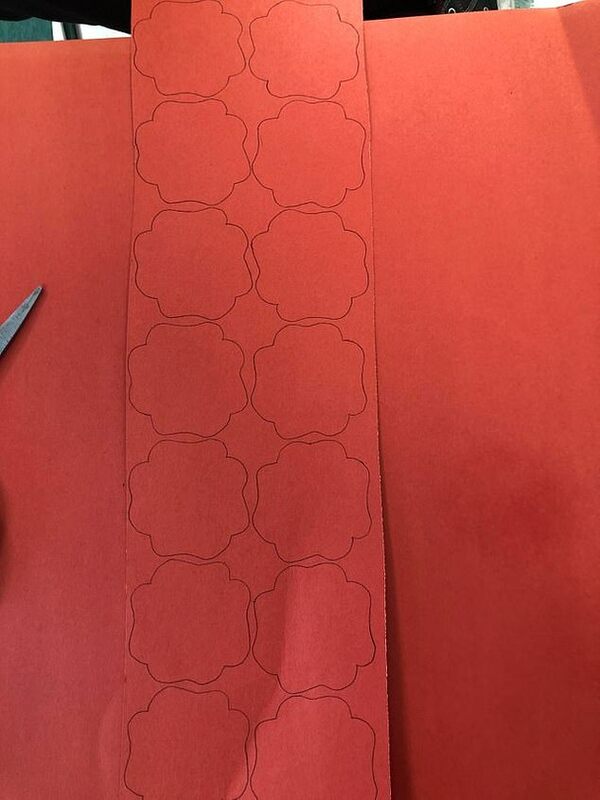 Posted on Reddit the Canadian user by the name of SlipperyPockets explained that they had made a stencil on a piece of red card, but when looking at the curved flower shapes they appear to overlap even though they’re all separate on the page. 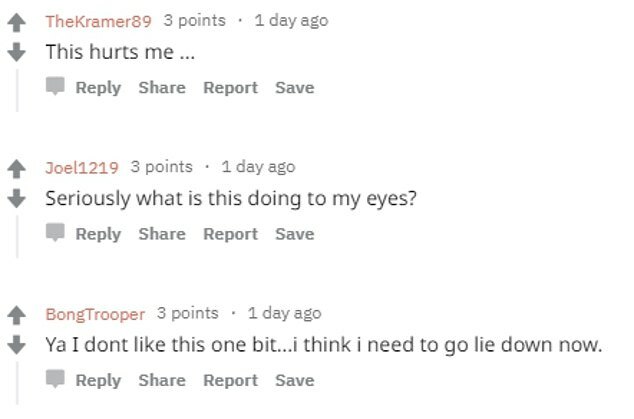 It attracted thousands of comments and votes on the popular site with people complaining the illusion was hurting their eyes, and another saying it ‘made their brain tingle’. The poppy illusion led some to debate over why it was baffling so many, agreeing it could be down to the gestalt continuity law. ‘Your brain is taking a shortcut and seeing the lines from one poppy continue a smooth, natural arc which is actually a line from an adjacent poppy,’ one explained. ‘Yeah this is awesome stumbling upon a brand new illusion,’ added another.